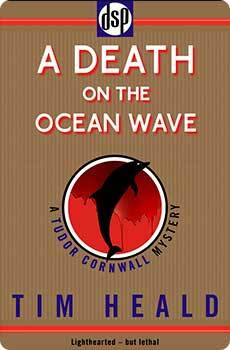 In his third adventure, Doctor Tudor Cornwall, head of criminal affairs at the University of Wessex, finds himself literally all at sea. Accompanied by his precocious star pupil, Elizabeth Burney, Tudor boards the good ship Duchess as a guest speaker on a transatlantic crossing which goes spectacularly wrong. Are the Irish journalists actually terrorists in thin disguise? Does the captain really have laryngitis – or has he been done away with? How come Freddie Grim formerly of Scotland Yard is preaching at matins? Was the flambé at Doctor and Frau Umlaut’s table meant to be quite so explosive? Is Prince Abdullah a real Royal? And, most importantly of all, can Tudor solve these and other mysteries before the ship docks?